Not all the heroes of Hurricane Harvey are human! A host of volunteers, from all over the country, have made efforts to help those affected by Hurricane Harvey, whether members of law enforcement, nonprofit volunteers, animal rescue organizations, military personnel or just random civilians looking for ways to help out. Not all of them are human, though! Hailing from Windsor, CA, Rocket, a one-year-old border collie mix is making himself useful. Believe it or not, this beautiful dog was once on the euthanization list at the Sacramento SPCA shelter, where he’d been deemed “too hyper and obsessive” to be adopted by anyone, the Mercury News reported. Of course, they were sorely mistaken. And someone saw his great potential. 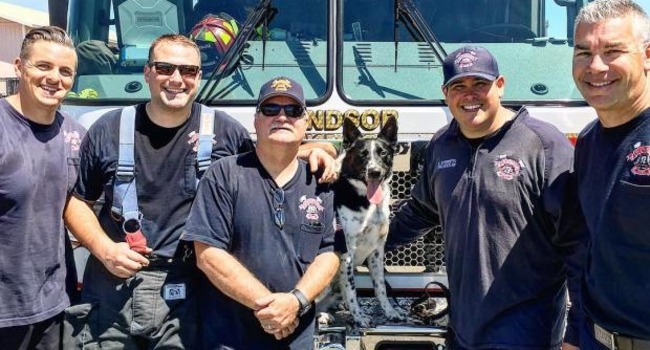 After eight months of training with the National Disaster Search Dog Foundation, Rocket was matched with firefighter Mike Stornetta of the Windsor Fire District. 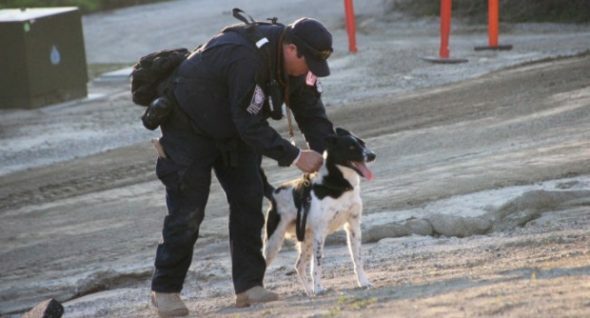 Now, having been certified by FEMA, this team joined more than a dozen other Search Dog Foundation pairs and flew to Texas. Rocket will be searching for living survivors who could be trapped or otherwise unable to reach rescuers. Woman Has Chance Reunion With The Dog Her Parents Gave Away. Get Your Tissues.